London is one of my favourite cities in the world! There is always something to do and explore. 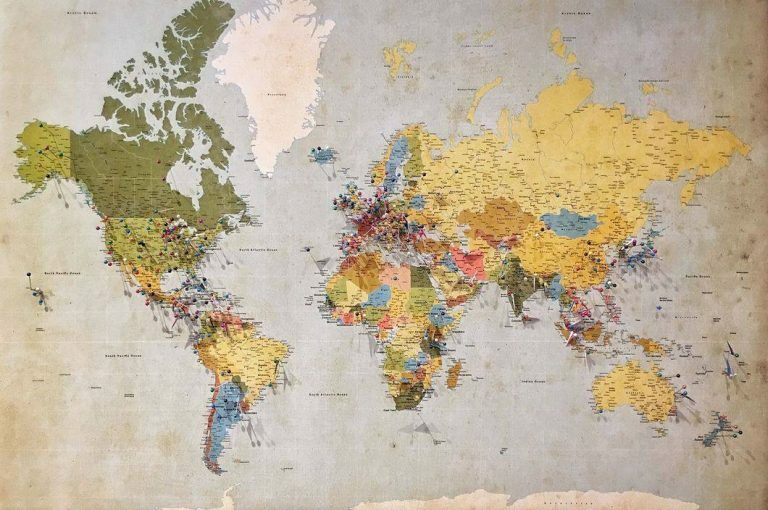 I still to this day have a hit list of all the places that I want to visit, it’s never ending. As this will be your first time in London, trust me, you’ll have a great time! There is something for everyone and a never-ending supply of activities, food, bars, theatres and much more to explore. Why is this London Travel Guide Different? Do I need to buy tickets for museums and theatres in advance? Have a REALLY good London Attraction Suggestion? Is an Oyster Card the same as the London Pass? How hard will it be to navigate the trains? How long of a ride is it? Which London neighborhood should I choose to stay? How much do I tip in London? I want to make sure that you have the best resource for your first time visiting London. There are a lot of key things you should know to make the most of your trip. I come from a from a small city and I was confused as hell when I first landed at Heathrow! I am sure like me you want to arrive ready and prepared for your London trip. 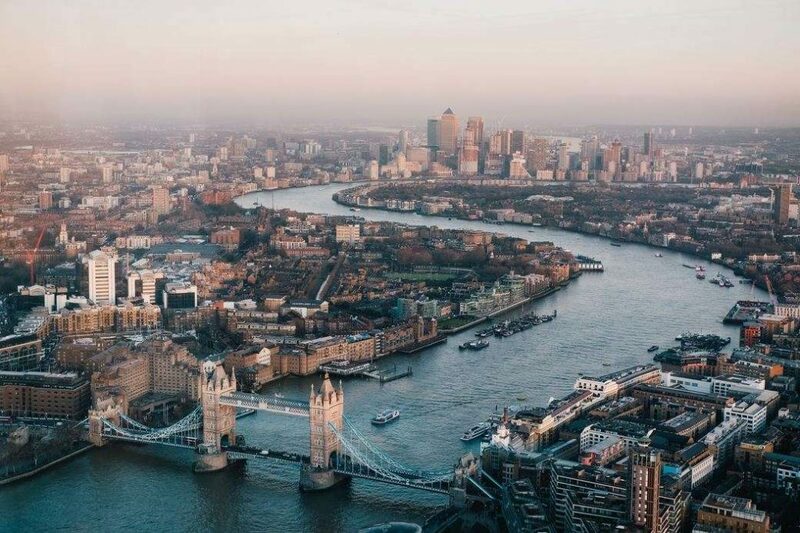 This is why I’ve made this London First Timers Travel Guide, so you have a one-stop resource for everything you’ll need to know. 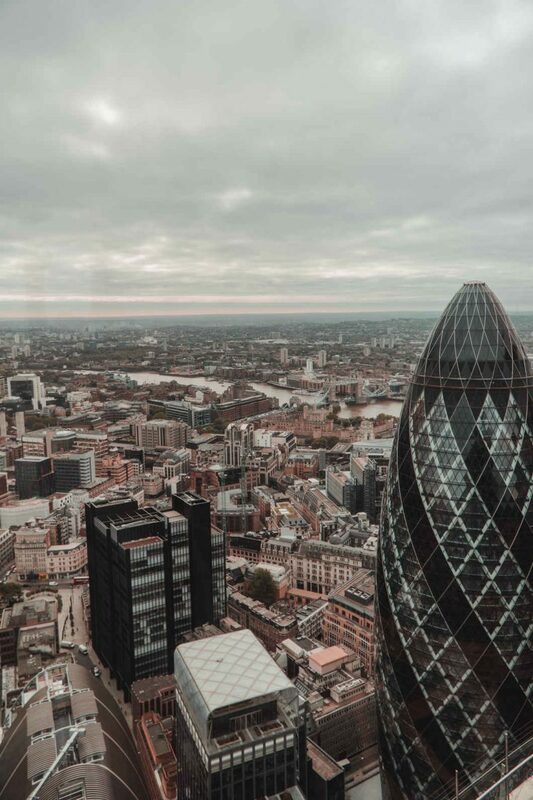 London is well known to be one of the most expensive cities in the world, so it is key that you plan and make your pounds go further! 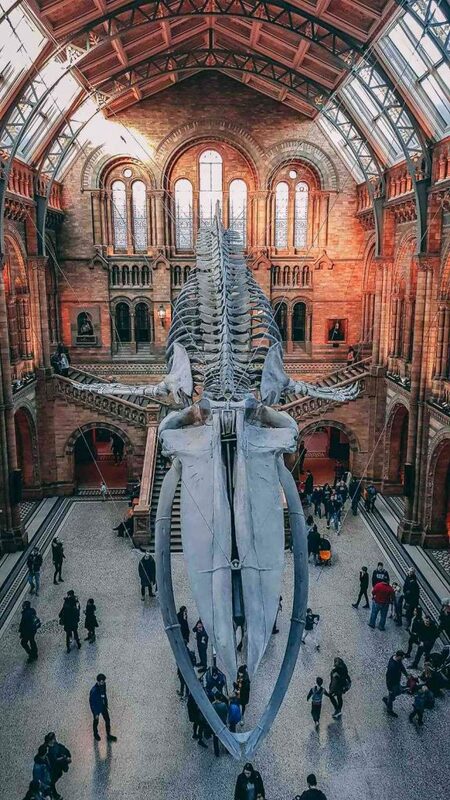 The great thing about London is the museums are free and there are ways you can experience things that cost money for less (included later in the guide). These can easily activities can easily be mixed and matched. Markets, Lunchtime specials for food £3 to £15 (per meal). If you get a kitchen you can definitely save money here! Visit all the free museums and cheap sights! Just to give some quick examples of my spending when I go out to have fun. The other day I had a big “night out” (i.e. it was my sisters birthday and I spoilt her). It cost £224 (£75 each) for 3 of us to go out in Soho. What we bought was one round of cocktails, one bottle of wine at a wine bar and dinner was 3 courses (tapas style), one bottle of wine and a jug of margaritas. The other day I went out for a low key Saturday night microbrewery which involved burgers with chips and 3 rounds of drinks then we stumble on a wine bar which included another bottle of wine plus a sherry to take home. This all came to £70 between two of us. My favourite things to do in London for some reason all revolve around food and drinking! But as it’s your first time in London you need to see some of the famous sights as well. My list is not definitive (London has months worth of activities!) and tailored to what I think you should see when you first come to London. 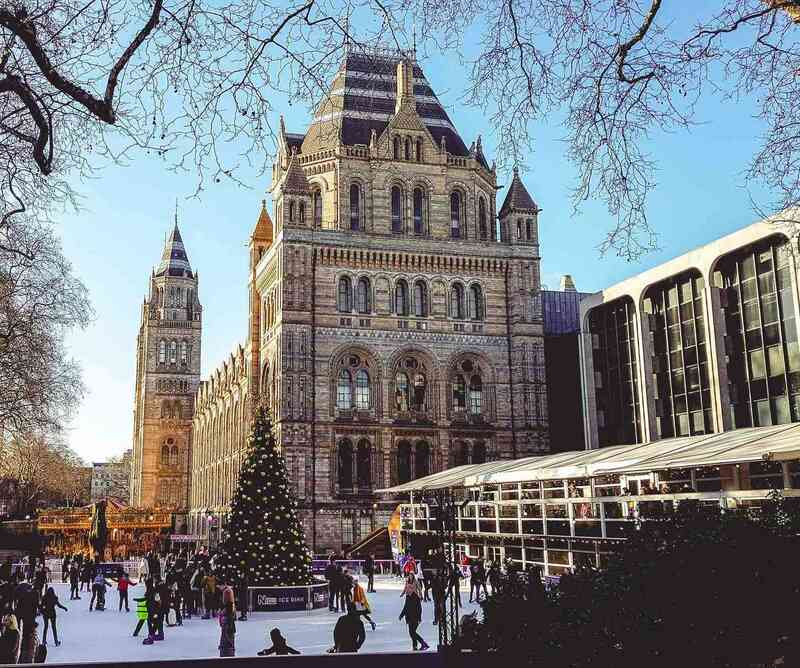 Days Out Guide which offers you 2for1 deals on London attractions. Great if there is a group of you just make sure you buy a National Rail ticket (oyster and TFL tickets don’t count) and get the vouchers (either print online or get one at a National Rail station). With a prepaid Oyster card, you can get tourist discounts for various sights. Go to the Visit Britain shop for more details. The London Pass will provide you access to loads of sights. Simply purchase how many days you would like, active the card within a year (i.e. your travel date) and show it at the venue. It is one of the few remaining working royal palaces. You might even see the Queen drive past (I honestly did see her drive past once when I was on a walking tour). 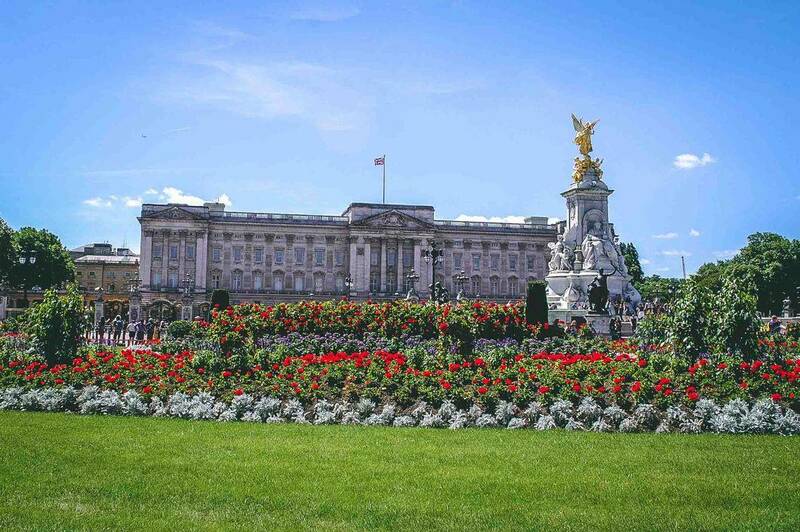 The beautiful garden at Buckingham Palace hiding all the tourists. Everyone always thinks that Tower Bridge is called London Bridge. Tower Bridge is the pretty one you want to see, the other is just a plain old boring bridge however it is a great photo op place for Tower Bridge. If you are keen to watch the bridge go up check out the latest time at Bridge Lift. I have listed 9 of my favourite museums in this article if you want to check out more. Big Ben is going through a couple of repairs at the moment as it’s sinking (needs a little TLC). Still, see the Parliament building but expect loads of scaffolding. 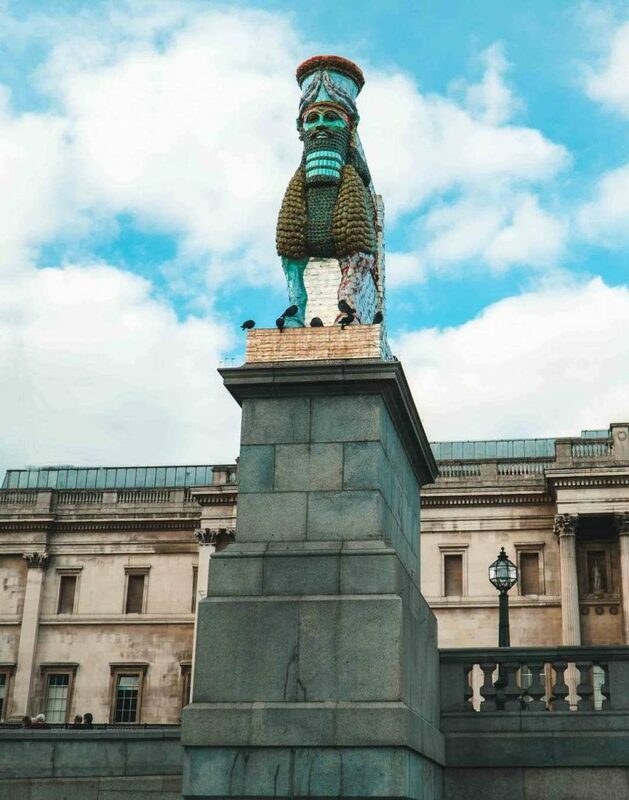 See the latest statue on the Fourth Plinth in Trafalgar Square. So there is more to do in the area then just see the plinth nearby are all the theatres, China Town and restaurants. Most of us will remember Westminster Abbey from Kate Middleton and Prince William’s spectacular wedding in 2011 but the Abbey has played a big role in UK’s history. Benedictine monks set-up up the original church around 1050’s but in 1245 Henry III pulled down the church and replaced it with the Abbey we see today. Impressively since William the Conqueror (way back in 1066), the Abbey has been where the British sovereigns have been crowned with the exception of Edward V and Edward VIII that were never crowned. If you got Westminster Abbey for a Sunday Service you can enter the abbey for free, the downside to this is that you won’t be able to roam around for free. 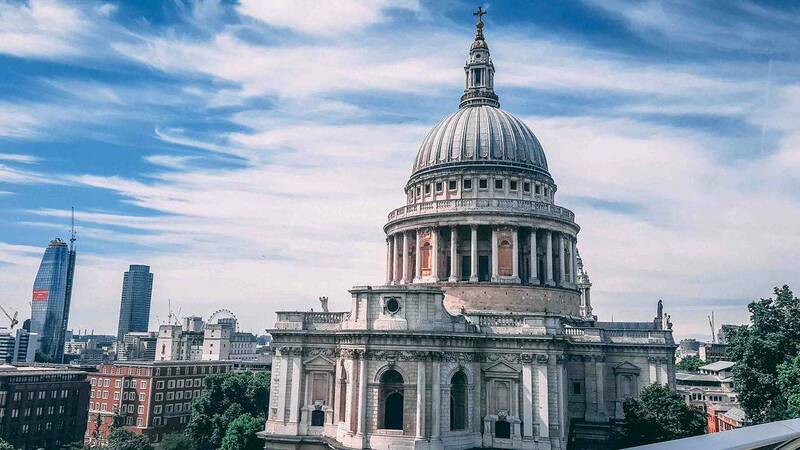 St Pauls has played an important role in London’s history from royal weddings to state funerals. 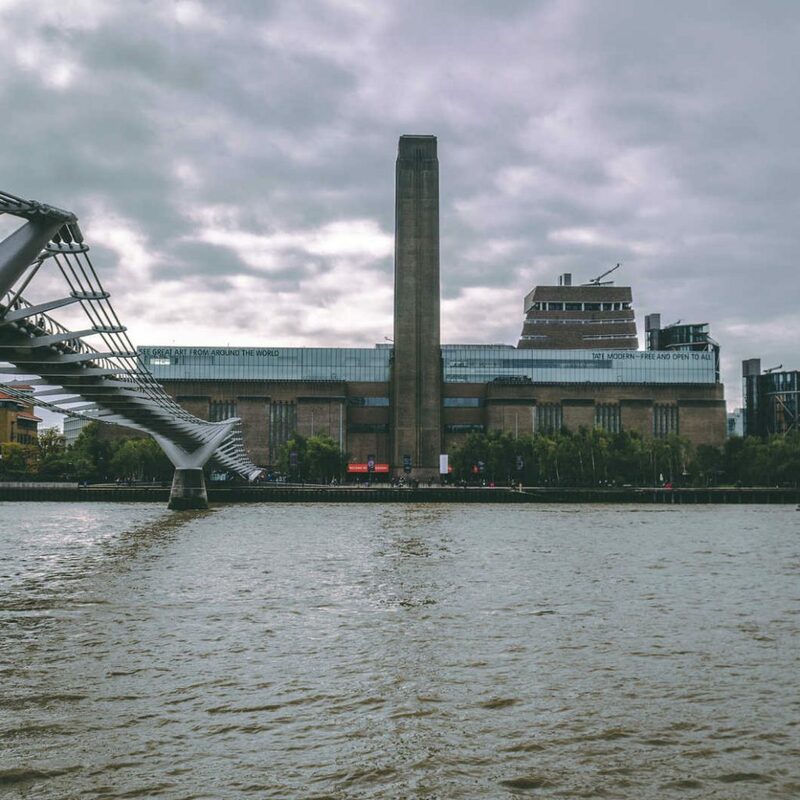 Located near the river it’s one of London’s iconic attractions to visit. Even if you don’t make it inside the Cathedral it is a beautiful building to visit. Fun fact, buildings in London can’t disrupt St Paul’s view. It’s classed as a protect view which is why London has some interesting shaped buildings. If you want a perfect view of St Paul’s head to the roof of One New Change Building. The bar at the top is quite fancy so there will be dress code restrictions but you can just visit the balcony without any restriction. 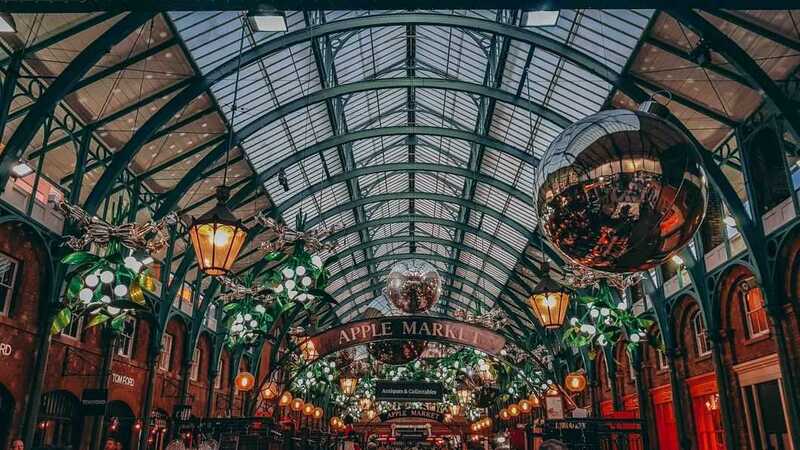 In the West-end you will discover Covent Garden! Home to a beautiful market, a hot spot for shopping, near the theatres, restaurants, bars and full of history. Covent Garden at Christmas time. It’s always so festive! This is a day in itself from markets, museums to parks there is a lot of cover in Greenwich. The coolest thing is the Greenwich Mean Time (GMT) line (where the worlds time is set from). Leather-lane market and Whitecross street market are food markets open Mon to Friday during lunchtime. A popular place for those working in the area to grab food. Borough markets is a must to see and just a great place for eating all the food tasters but my favourite place is the vegan burgers. 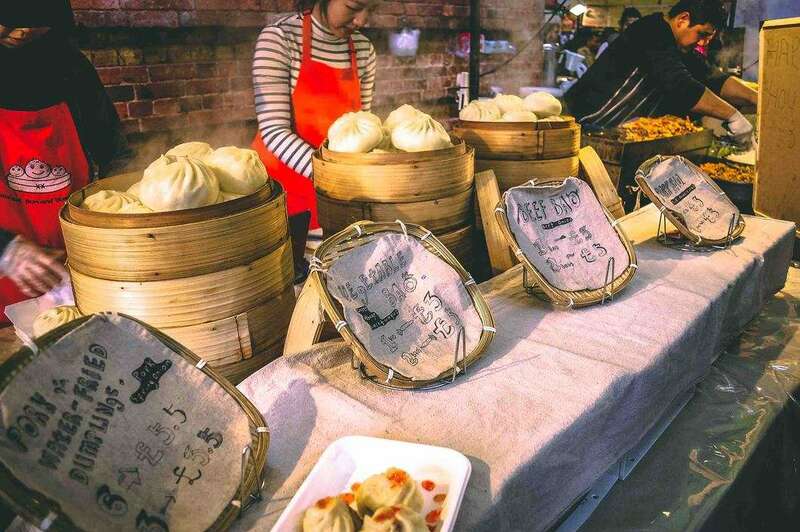 Bricklane markets are open on Sunday, lots of vintage, arts & craft and variety of food. Mercato is another great marketplace style of venue offering lots of food and drinks options plus they have a cinema. Columbia Flower Market is as the name says a flower market. Open on a Sunday it has a great vibe, buskers playing on the street, food stalls and coffee places! The delicious food at Bricklane Markets (open on Sundays). What better way to enjoy London’s view then in one of these wonderful buildings capturing panoramic views of the city. View from Duck and Waffle with a typical grey London day. The Shard – I suggest going to the Oblix Bar, it’s free to go up there and a lovely place to grab a drink whilst soaking up the views. Sky Garden – It’s free to go to the Sky Garden you just need to book in advance. 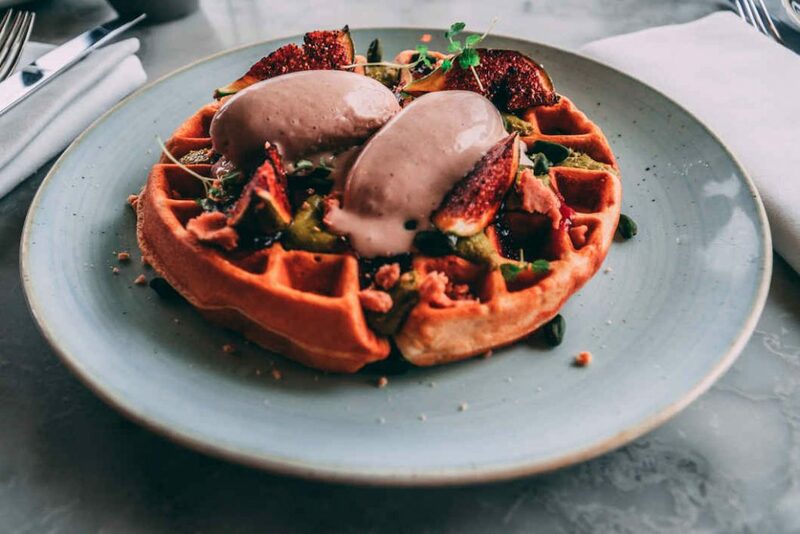 Duck and Waffle at the Heron Tower – You need to grab breakfast here, delicious food and fantastic views! Bussy and Franks – Slightly outside of the tourist area (still in zone 2) these two rooftop bars give amazing views on London. The list could go one but I have listed my top 5 views of London so check out the article. I just had a show a picture of the waffles at Duck and Waffle. Not only are they pretty but they are so tasty!!! Museums will have exhibitions that you can buy tickets to. If there is an exhibition you want to see then booking this in advance is a good idea and it will be a time slot on a day. General entry to the museums is free and you will be able to see a lot of cool stuff without seeing exhibitions. I highly recommend the wildlife photographer of the year award at the national history museum. Theatres are best to be booked in advanced if you are set on seeing a show and price range. You can get last minute tickets fairly easy as lots of people book in advance and don’t show but these will be various prices points. There are endless things to do in London so I’ve barely touched the surface but would love to add your favourite attraction tip in. Let me know in the comments below. The weather is so easy to complain about in London! I think it’s the number one topic of Londoners. I always recommend bringing an umbrella and a jacket just in case. Warm to hot days, generally between 20 to 30 degrees and most daylight! Milder day, generally between 10 to 20 degrees. Mostly sunny at the start of autumn and head to more drizzle towards November. Cool days, generally around 0 to 10 degrees. Mostly drizzle or rain during the winter months. There is something magical about Christmas time. Mild weather, generally around 10 to 20 degrees. The weather can be hit and miss, either really sunny or drizzle. The weather has slowly been changing in London and season seem to be later (at least to me). In 2018 we still had snow in late March and then a few weeks later a heatwave of 25 degrees with beautiful sun. The ‘BEST’ time to go to London can vary a lot depending on what you want to do. Some people are picky about the weather, while others don’t want to blow their budget during high season. Here is how I see it: ANYTIME is a good time to be in London! Just beware that UK weather is unpredictable, the weather likes to keep us on our toes. OFF SEASON. Heading to London outside of the school holidays has the most perks! You can enjoy lower hotel prices, people are friendlier and there is just better deals. If you are looking for a deal then avoid Easter and the May bank holidays. Personally, I love travelling Europe in September and October, the weather is generally warm, not to crowded and sunny! The middle of the summer has the sunniest days and school holiday which means bigger crowds! As it is summer season across Europe the whole continent will be more expensive. I would only recommend going over the summer if you hate rain, love hustle and bustle and have a bigger budget. If possible, DO NOT plan your arrival for Christmas Day or Good Friday. There will be NO available public transport, taxis will increase their prices and only a limited number will be open for check-in. Being an Australian, a Kiwi, a Canadian, South African or an American you will not need a tourist visa and are allowed to enter the UK for up to 6 months. An EU national can enter the UK without needing a tourist visa however who knows after Brexit and what immigration laws will be agreed. 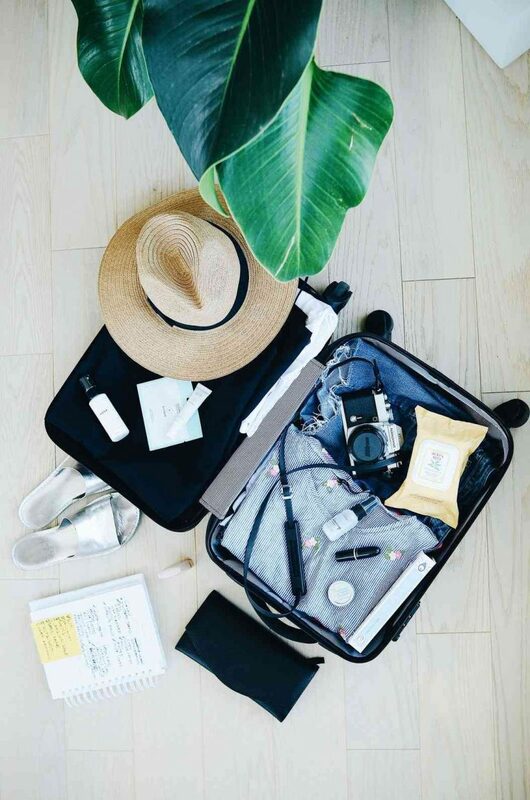 One of the most important things about travelling apart from having enough money and a valid passport is to ensure that you have a visa or the eligibility to enter a country. Some nationalities will need a tourist visa when visiting the UK easiest way to check is by using the gov.uk website and you use their visa questionnaire to find out. The questionnaire will provide links at the end to the application details. If you are eligible for a standard visitors visa then follow this link for all the details https://www.gov.uk/standard-visitor-visa. A question I see all the time is which London Airport should I fly into? The airports available will differ depending on whether it is a long or short haul flight and whether it is a budget airline. 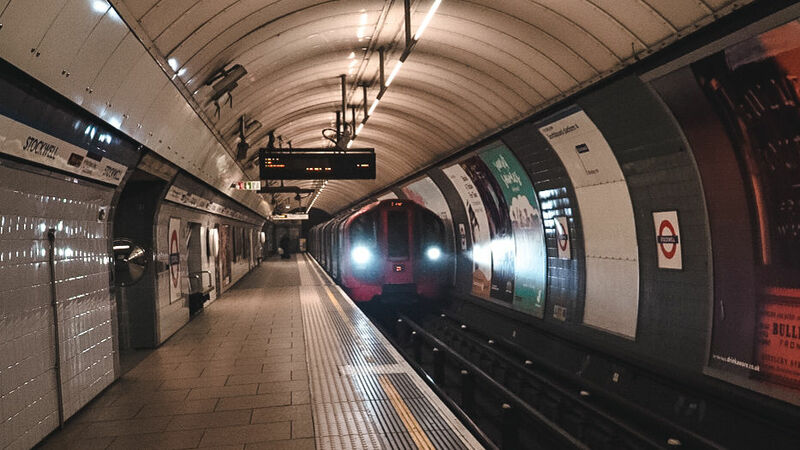 The tube is the easiest and cheapest way to travel from Heathrow to London. 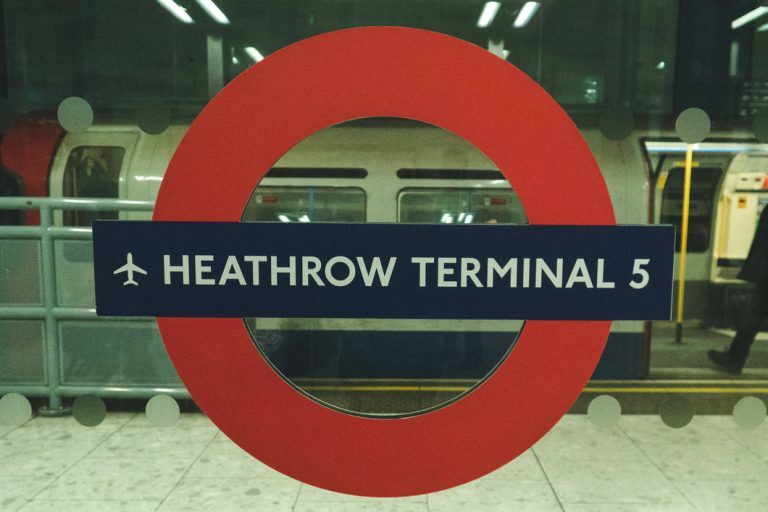 Heathrow Airport – 18 miles/50 minutes – London Underground (i.e. the tube) runs the Piccadilly line (dark blue line) to Heathrow, Heathrow Connect and Express (trains) taking you into Paddington Station and National Express Buses will run from Heathrow into London to various bus stations. The tube is the cheapest method is the tube costing £6.40 to get to zone 1. You will be able to Oyster Card or Contactless for this option (recommended) or purchase a ticket (not recommended). Gatwick Airport – 28 miles/90 minutes – Gatwick Express, Southern and Thameslink all run train services to London Victoria and London Bridge. National Express runs buses into Victoria Bus Station (and a few others). The cheapest way is the bus but the trains are the quickest way which is about £8.40 to £25 into London. You can also use an Oyster Card or Contactless (bonus you won’t need to wait in a ticket queue if you use these options) on the train services or just buy a train ticket. Stansted Airport – 38 miles/70 minutes – Stanstead Express runs train services into Liverpool Street station or you can catch National Express buses into Liverpool Street and Victoria. You will need to buy tickets for these services as Oyster Card or Contactless are not options. Luton Airport – 35 miles/70 minutes – Thameslink runs services into London Bridge, London Blackfriars, City Thameslink, Farringdon and London St Pancras International (basically it’s all the same line). However, you will need to catch a bus from the airport to the station. Again National Express will run buses into London Victoria. You will need to buy tickets for these services as Oyster Card or Contactless are not options. London City Airport – 10 miles/40 minutes – This airport is in the centre of London you will be able to catch Transport for London services (TFL) like DLR and buses. You will be able to Oyster Card or Contactless for this option (recommended) or purchase a ticket (not recommended). London Southend Airport – 42 miles/85 minutes – I don’t really count this in my airports but technically it’s no further than Standstead Airport. London has a wide range of transport it offers and little quirks to go along with it! City Mapper will be your best friend in London so make sure you download the app before arriving in London. I love it for figuring out transport modes and routes, however, the walking functionality to me is less friendly so I use Google maps for walking routes. All aboard the bustling tube! Don’t let this photo fool you, peak times on the tube are intense! Super crowed platforms, everyone squeezing themselves on and occasionally smelling your neighbours arm pit. It’s a plastic smart card which holds credit to allow you to travel on the London network. 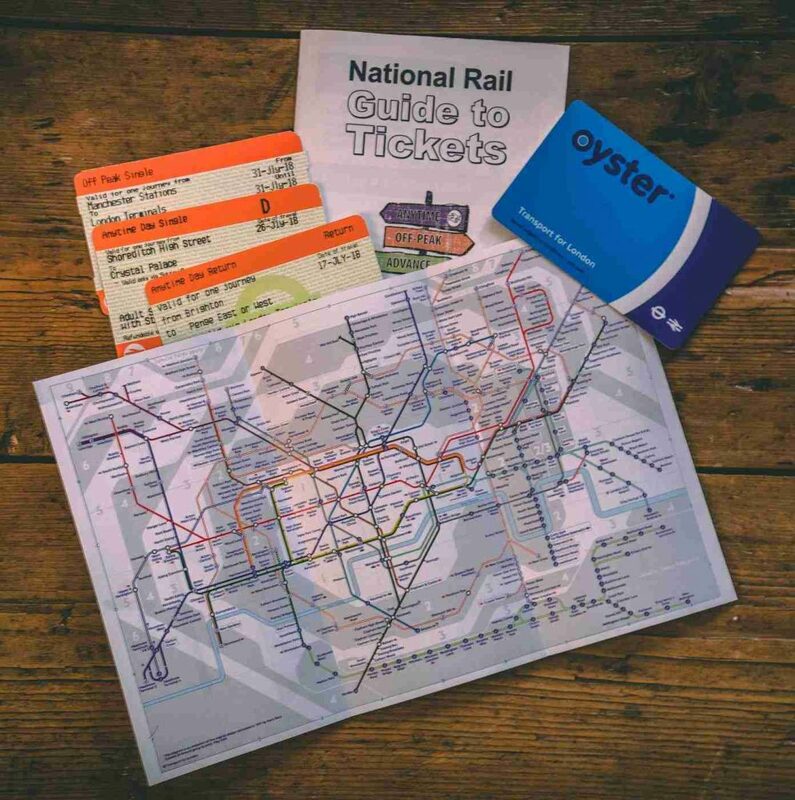 The card can be used to travel on various modes of transport in London like a bus, Tube, tram, DLR, London Overground, TfL Rail, Emirates Air Line, River Bus services and most National Rail services. You can buy an Oyster card at the ticket machines or as I mention above in things to in London you can buy this in advance. It’s £5 for the Oyster Card which you can get refunded when you are heading home plus any change left on the card. You can also use contactless payments so if your card has the ability to do this then you don’t need to purchase or top up an Oyster card. In the top left you have the orange credit card style National Rail ticket and in the top right you have the blue Oyster Card. As I mentioned in the airport section all airports will provide you with the ability to use Oyster cards and when you leave London zones you won’t be able to use your Oyster card either. You’ll end up having to buy a ticket when you arrived at the station, generally at a higher price. If you buy a travel card be aware that Emirates Air Line and River Bus services (the ferry) will be an additional cost (it’s costly as well!). There are two types of credit methods, pay as you go and travel cards. Depending on your itinerary will be the deciding factor on which type of credit you should by. Staying under 4 days you should do pay as you go and over 5 days you should buy a travel card. Be aware that the travel cards are either weekly (7 days) or monthly (30 days). No, the London Pass is a card a discounted prepaid card which gives you access to certain attractions. I found the tube the easiest mode to concur when I arrived in London. At the stations there will be tube or national rail maps which are free and will help you navigate the system. The buses require a little more coordination and needing to know where the stands are. London is so easy to get around without a car there should be no need for you to rent a car whilst you are here. Planning to travel more of the UK then look at getting a car when you have finished in London. I tend to pick up cars from the airport or further away location so I am not stuck driving in London (the traffic is horrible). Travel insurance just gives you that piece of mind and protects you from the unknown. It always recommended that you purchase travel insurance and it is a prerequisite for some of the visas as well. It’s worth mentioning that a few countries have reciprocal health agreements with the UK such as Australia, New Zealand and Canada which means you can get healthcare when travelling. Bringing the kitchen sink isn’t a good idea if you struggle to carry the bag up and down staircases, uneven payment or crowds. London’s infrastructure is quite old and means that there isn’t a lot of lifts or accessibility around the city. Casual Wear – London is quite chilled with its clothing vibe unless you are living it up in the rich life! I can’t remember the last time I wore heels on a night out. The general items like tops, jeans, skirts or even shorts in the summer. Formal-ish Outfit – People do make an effort to look casual smart like a nice dress on or guys will wear a long sleeve shirt. The ladies can convert a simple dress with some jewellery, a jacket and comfortable shoes. Guys might want to pack a light collared shirt, some nice jeans and closed shoes. Personally I mix it up between a top/jeans and dresses with flat shoes or boots. My boyfriend tends to wear collared shirts and jeans with closed in shoes. Comfy Shoes – Pack your walking shoes! It’s key to making the most of your trip to London. Pack another pair of shoes that you can pair with a nice outfit for nights out. Jumper, Coat or Jacket (and Winter Wear) – This is a must! The weather in the UK can be so unpredictable, it could be July and you still hit a 15-degree day then it shoots up to 25 and during winter it can get cold. Considering it was still snowing in March it just shows all the extremes of the weather (albeit unusual for us). During the summer bring a light jacket and jumpers. London doesn’t have the coldest winters but it’s cold enough to warrant scarfs, gloves and big jackets. Nightwear – Staying in a shared room then you need nightwear but if you are living the high life in a private room or hotel I will leave that up to you. Personal Care – The usual items like toothpaste, hand sanitiser, face wash, deodorant, shampoo and conditioner. Camera – Optional item to take with you. Laptop – Optional item to take with you. Chargers – Phone, laptop and camera chargers. Battery Pack – if you plan on using your phone loads this is an essential item (at least to me). Power Board – I find having a small power board is a handy item to have whilst travelling, especially, when you have lots of electronics to charge. Adapter / Converter – Universal adapters are the best to carry around and there is no need to worry about carrying one for each country you visit! If you do forget you will be able to pick one up so no need to worry! Hotels and hostel can have loan ones available too. London uses the 3 prong UK plug at 230V, so unless you are from the UK you will need an adapter/converter. In the UK, we use the British Pound (GBP). The currency does have a few nicknames like Pound Sterling, Sterling, Quid and Nicker so you might hear these said by the locals. Card is widely used in the UK and in London some places are turning card only so having a pre-topped up travel card, debit card or credit card before you come is a must. Banknotes: Frequently used are £5, £10 and £20 (this is the only notes ATMs will dispense). Rarely used are £50 and £100 (it’s really hard to spend £50 & £100. If a currency exchange or bank gives you theses ask for smaller notes). Coins: 1p, 2p, 5p, 10p, 20p, 50p, £1 and £2. If you forget, don’t fret, you can use your card and then take out cash when you are in the city. Airport exchanges and ATMs will give you a worse exchange rate so you are best off waiting to get cash out. It’s there if you do need it. I have to admit, converting my Australian dollars into Pounds makes me sad. When you have $50 and it ends up being £25 to £30 (on a good day). London reminds me of little towns put together to make a city and each area has its own vibes. You will find no “best” neighbourhood to stay in London as it is dependent on your interests and budget. For a weekend central areas will be way more convenient than being a few zones out but if you are here for a week being less central will help the budget. It’s also crucial that you are near good transport links as it’s what us Londoners rely on. One of my favourite areas in London is Bermondsey & London Bridge. It’s the perfect place to stay if you love to discover new street-food, craft beer and gin. For the beer lovers, it’s a must to check out Bermondsey Beer Mile. A bunch of brewers decided to cleverly to locate their microbreweries under the railway arches. Close to sights like Borough Markets, Tower Bridge and the Tower of London and has good transport links. My favourite photo I’ve taken of London lately. 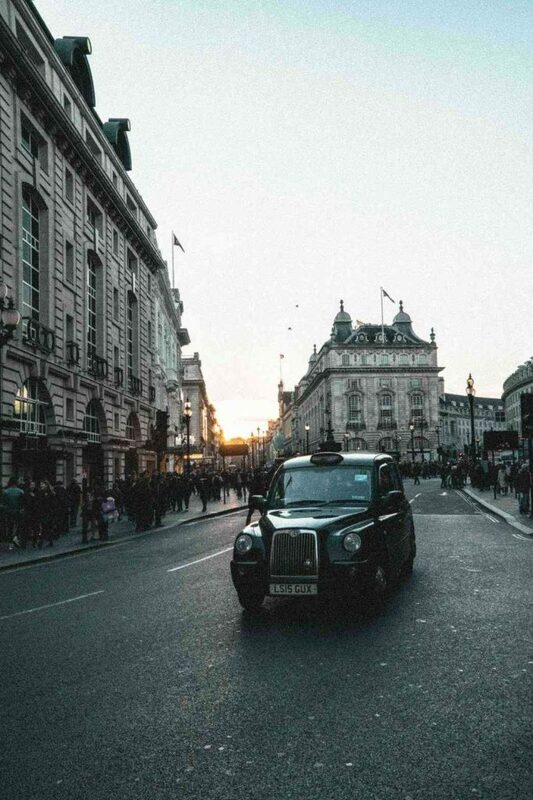 Classic shot of Piccadilly Circus with a Black Cab. It’s only around the corner from Soho and Covent Garden. Right in the middle of the action, always bustling, surrounded by restaurants and bars and in the theatre district. Close to sights like National Portrait Gallery, Oxford Circus and Southbank. There are good transport links as well. 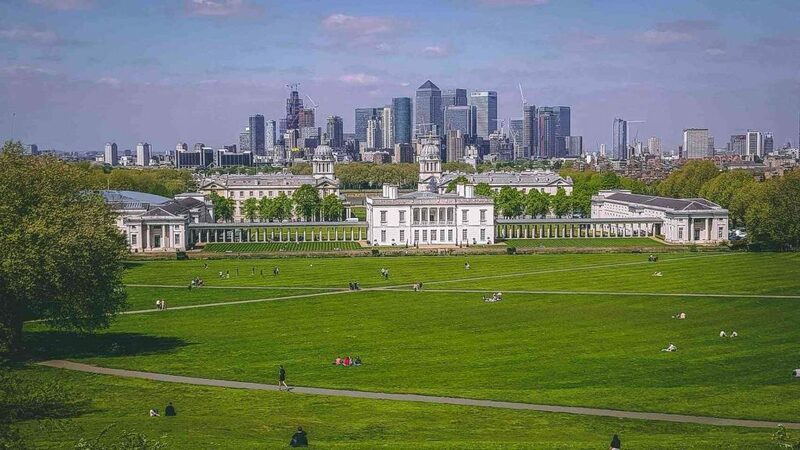 View from Greenwich Park with Canary Wharf in the background. A little quieter, full of open space and greenery. Slightly outside of the hustle and bustle but only a 20 minutes journey by tube, DLR or Thames Clipper. Plenty of restaurant, markets and bars to check out as well or a great place to have a picnic when the sun is shining. Very hip and trendy areas (says someone non-trendy). From the curry mile, vintage shopping, street art and cool bars there is something to keep you occupied every day of the week. It’s one of the main areas I spend my time in London exploring and highly recommend to anyone visiting. Other London neighborhood to consider would be Victoria, St Pancras/ Kingscross, Earls Court, Camden, Kensington or Mayfair. Clink78 was once a former courthouse is now a vibrant hostel. Clink is centrally located in Kings Cross with great transport links. Offering a range of rooms from private to 12 person dorms with wifi, kitchen, luggage storage, bar, laundry and 24/7 reception. Wombats City Hostel is located in several European cities so there is no surprise there is one in London. Located in Whitechapel and super close to Shoreditch with lots of lively bars, restaurants and cafes. Offering a range of rooms from private to 6 person dorms with wifi, kitchen, luggage storage, bar, laundry and 24/7 reception. Generator is another chain that has several locations over Europe. Located in between Kings Cross and Russel square it is centrally located. Offering a range of rooms from private to dorms with wifi, kitchen, luggage storage, bar, restuarant, laundry and 24/7 reception. St Christopher’s has 8 locations in London so choose the area that suits you best is centrally and you’ll be able to determine which St Christopher’s is the one for you. I tend to think of this chain to be more party hostels in some of the locations. Offering a range of private and dorms rooms with wifi, breakfast, luggage storage, bar, laundry and 24/7 reception. I always find that hotels add a sense of luxury to your trip and London doesn’t disappoint with it’s range. There is something to suit every traveller and your budget. Here are some of the hotels you could conisder on your trip to London. Sustainability is an important feature in a hotel in this day and age. Qbic ticks the boxes in sustainability with its modern decor that features creative designs and uses sustainable practices. They have thought about everything in this mid-range priced hotel with incorporating sustainable materials, an eco-friendly rain shower and comfort with a natural bespoke mattress. Other amenities in The Qbic include free Wi-Fi, free tea and coffee, and free bike rentals. Leman Locke is an apartment style hotel, giving you the comforts of your own home but stay outside of the status quo. Located in the heart of Aldgate and a short distance to the City of London, Shoreditch and the Tower of London. Apart from the usual facilities like wifi, Locke guest can experience the regular curated events (ie. yoga, tastings, etc. ), yoga / meditation rooms and access to Locke Labs (Locke’s unique take on meeting rooms). Not sure why they have named the hotel a Motel One but it’s nothing like what I picture a motel to look like. With its stylish design and affordable prices it makes it a great choice. Surprisingly the weekend is cheaper than during the week but I put that down to the location (i.e. where lots of people go to work). The downside to this hotel is that the area is not very happening during the weekend. However, it’s so close to Tower Bridge, Leadenhall Markets (where parts of Harry Potter were filmed) and Sky Garden. You only need to walk towards the river to find the action (i.e. Saturday/ Sunday night). I have mentioned a couple of markets and restaurants in things to do in London but it’s always good to have more options. Being a vegetarian these will all have vegetarian options. I really like Indian food so here is my pick of restaurants Cinnamon Bazaar, Dishoom (various locations), Hoppers (don’t take reservations), Tayyabs (it’s also BYO) or Bricklane curry mile (it’s all about bargaining with the owners). In London there is also Vietnamese mile which mainly around Hackney area. I tend to go to BunBunBun Vietnamese Food which is also BYO. For chain restaurants Pho and Ping Pong (not Vietnamese) are good. Specifically vegetarian and vegan my top choices would be Mildreds, Vanilla Black (quality of a Michelin star restaurant without the price) and Ethos. The amazing vegetarian dessert at Vanilla Black. It’s a hard job choosing pubs! and my list could go on forever but here are a couple; Porterhouse (Irish Pub), the Wigmore (slightly fancier), the Old Fountain and any of the microbreweries. There are lots of chain restaurants in London but my favourite go to‘s are pizza and burgers. For pizza, I recommend Franco Manca and Homeslice (they server 20″ pizzas). For burgers, my all time favourite is Patty and Bun with their Shroom burger. Honest Burgers just launched the All Beyond burger for those that haven’t heard of it, it’s the bleeding vegan burger, it’s a strange thought but if you miss meat then it’s an alternative choice. 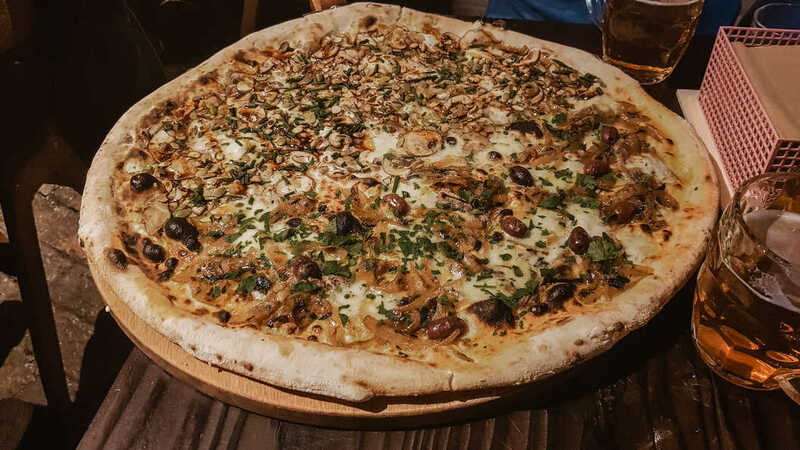 The 20″ pizza at Homeslice. 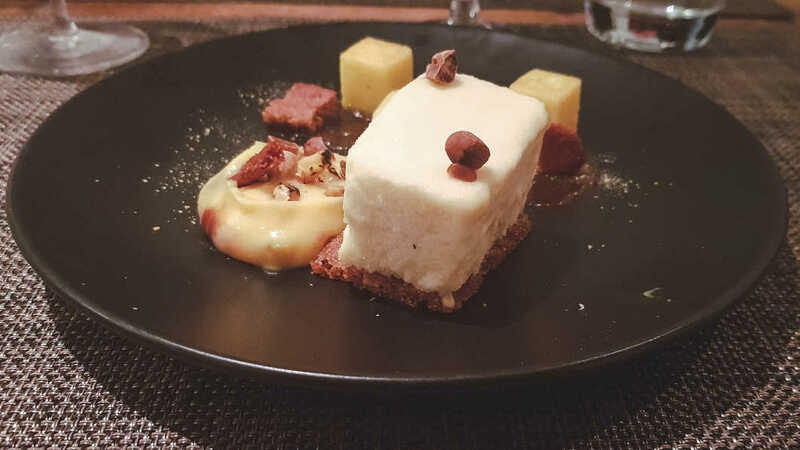 How doesn’t love a bit of dessert?! I only have two recommendations at the moment as I am always trying to avoid the sugar but if you love icecream then I suggest checking out Milk Train (fairy floss ice-cream!) or try Bake (icecream served in a fish shaped cone). In London (and the UK as a general) there is a 12.5% surcharge that some restaurants add to the bill, if this is added then you don’t need to tip. Double check the bill and then if the service charge isn’t included then you can give a 10% tip. For pubs, it’s not necessary to tip but if you wish to the bar staff will be happy! There is generally a tip jar that you put your tip into. The pub will generally share this between all the staff. Bonus tip as taxis don’t belong in this section… For taxis it is common to round up to the closest pound or say the amount you would like to pay (i.e. the meter says £7.10 and you wish to pay £9). 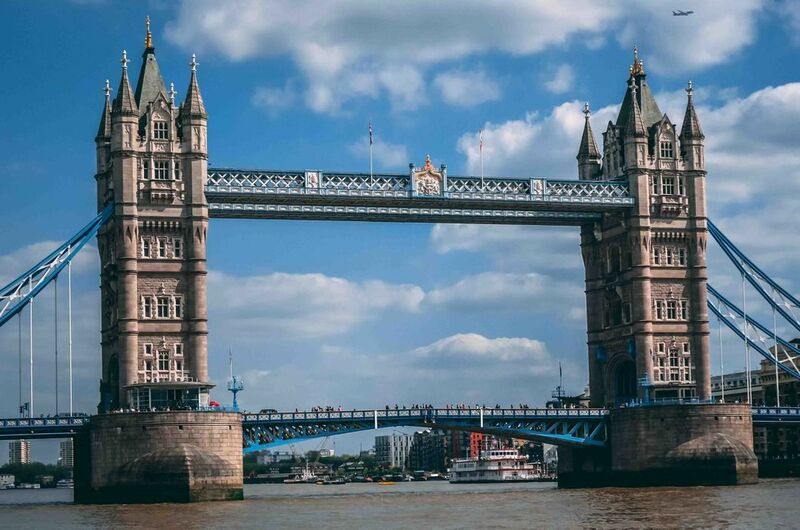 Let me know in the comments below what you’re most excited about seeing in London, anything you want to know and how your trip turns out!